Carvery Lunch is available from 12.30pm to 2.30pm Monday to Thursday, from 12.30pm to 3pm Friday and Saturday and 12.30pm to 4.30pm on Sundays. The Bailey Bar is a place where everybody is made to feel welcome whether it is for a heart warming carvery lunch, a quiet pint, a glass of fine wine or a meal with family and friends. Our philosophy at the Bailey Bar is to source the best seasonal local products and to ensure our customers experience the failte that is extended to all our guests. Thank you for a lovely evening. The services and food was amazing. I love dining in the Bailey Bar and have some so regularly over the last number of years. Just wondering if there are any plans to update the menu. The food is delicious but it might be nice to have a change. Thanks! All staff were amazing and really went above and beyond for all our guests. Food was absolutely delicious. Treated my Aunts to afternoon tea and it was just a lovely  experience , beautiful views looking out at the castle, staff are extremely attentive and friendly and the food was amazing & the such good value , will definitely be back !!! There was a bit of a problem with the bill but it was all sorted in the end . Great value for money. Great service as always . Great atmosphere due to staff members keeping the customers happy.. Thank you to manager Michael Power and his friendly staff. We had the restaurant to ourselves so it was lacking in atmosphere. The meal is good value. The waiter was friendly. The food was fabulous, however we were waiting quite a while for our empty plates to be collected. Really nice food and helpful and friendly staff. Great venue , pleasant and efficient staff . Enjoyed our time there from arrival to departure , many thanks !! Overall we were very disappointed with our visit to the Bailey Bar. There were 15 of us in the party and we were divided up between two tables which is not ideal and had we been informed of this when booking we would not have booked. Out of the 15 of us only two or three were happy with their food. The service was also very slow. Very disappointing experience. Very friendly & professional service - great value for money as well! Food was amazing .. staff are very friendly from floor staff to bar Men couldn't ask for more . Thank you to all at the Bailey. Beautiful bar, the service was excellent. Really friendly staff. I honestly can't fault a thing. Staff and service were excellent and the food was very tasty. However I did think the menu for residents was quite limited, perhaps we could have asked for an extended menu however we weren't offered it. 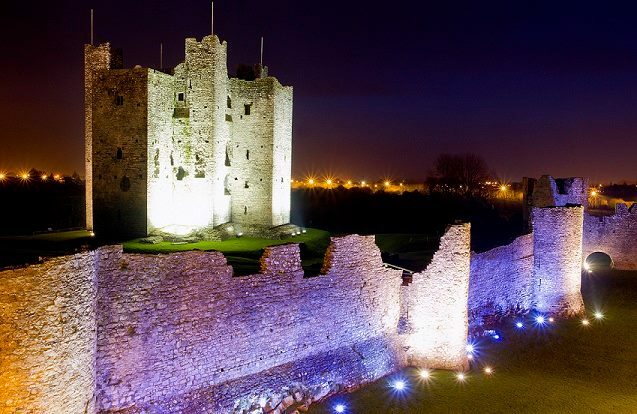 Very relaxing and a lovely view of the Castle. Also a table at or tablecloth would have been a bonus ! But overall really good and as I say exceptional staff. We will be back on another overnight soon. We stayed in your hotel on Tuesday night last and dined in the Bailey. The food was very enjoyable and the service excellent, in particular the more mature waiter. Thank you! We had a wonderful group lunch with a set menu--the staff was welcoming and professional. Everyone was so impressed. Many thanks! 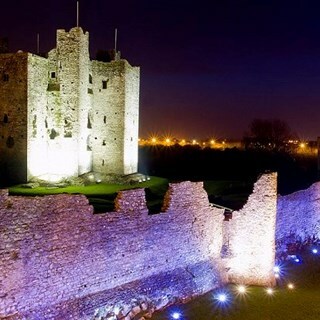 Very good service, with lovely views onto Trim Castle. Food was good value for money and tasty.